Unfinished Business at the Hatton gallery at Newcastle university is a colourful, hard-edged collection of work curated by Newcastle based artist Theresa Poulton. In honour of the Bauhaus Centenary, Unfinished Business explores the relationship between colour and form and looks at the continuum of modernism for a new generation of artists. 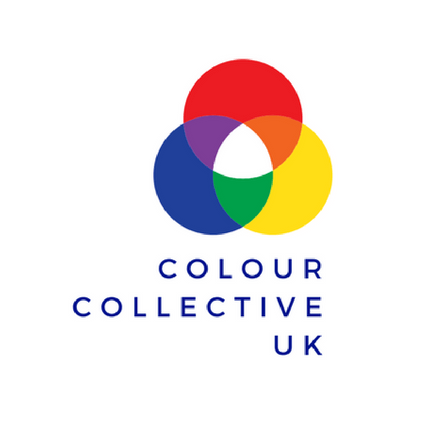 Poulton treated the Colour Collective UK to a gallery tour in the Ex Libra’s and the Long Gallery and talked us through how she put the exhibition together and her debut into the world of curation. She talked about her decision making for how she hung the work and the logistics for assembling artwork from around the globe. The exhibition continues until 3 May 2019.